What I mean by “indexing” is how I adjusted the EQL’s output and the amp’s gain to respond to input. I usually listen to my music at around 20% volume, or around 35% if I want to turn it up. I consider 50% to be about as loud as I’d ever go, especially since I could hear a little distortion around there. So I “peaked” (or “indexed”) the input sensitivity at the amplifier with the stereo set at 50% volume. Set this way, it was very easy to adjust my PLC2 remote control knob around 35% for most of my music or turn it to 100% for excessive amounts of sub-bass. It seemed perfect. Then I learned that programming my Helix module had eliminated the distortion I had once experienced at 50% volume. 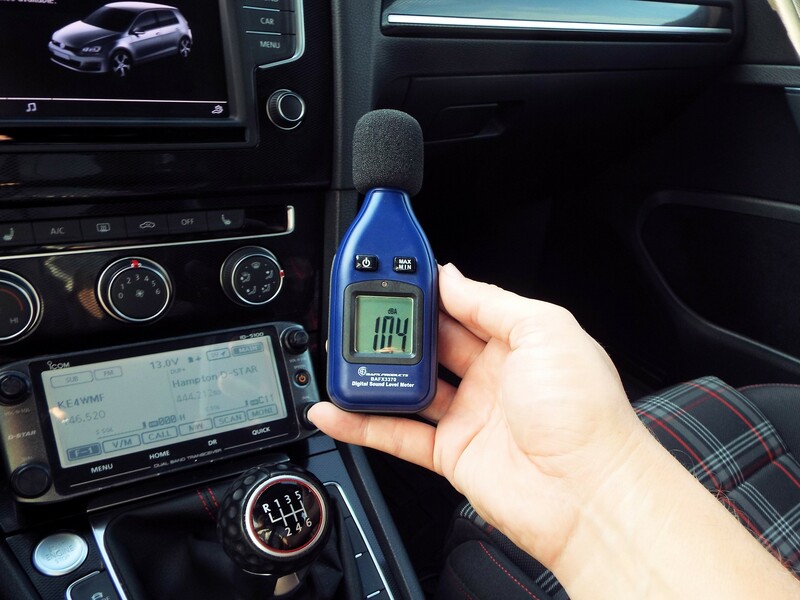 I could go all the way to 100% before hearing a hint of distortion. 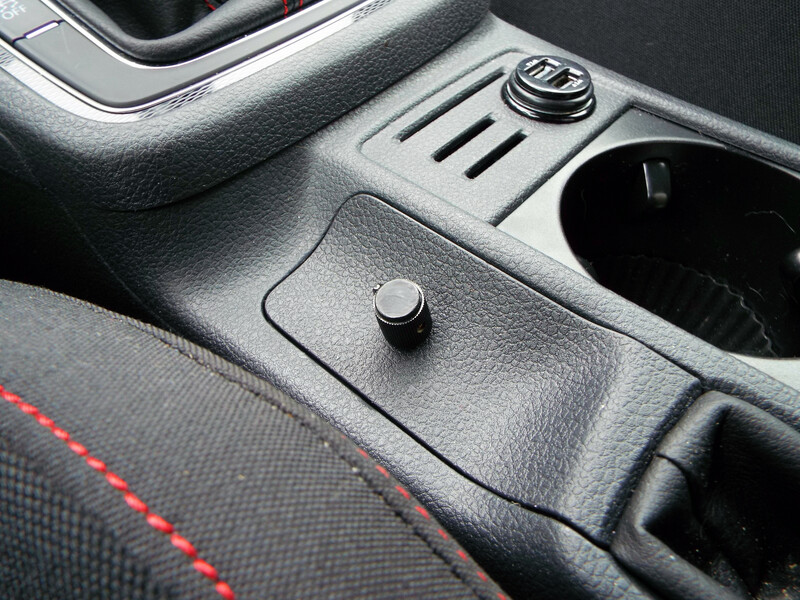 But turning the volume that high would overdrive the subwoofer amplifier and risk damaging it. Distortion is an enemy to speakers and amplifiers, so I knew I wanted to reindex the system at max volume instead of 50%. With the system indexed at max volume instead of 50%, I needed to adjust my PLC2 to 50% or more to compensate during normal listening. That wasn’t a big deal, but I also lost the ability to demonstrate “ludicrous bass” when showing the system to friends. Setting the PLC2 at 100% could produce “too much bass” for my liking, but I wanted to be able to really overdo it during a demonstration. It was time to change my subwoofer. 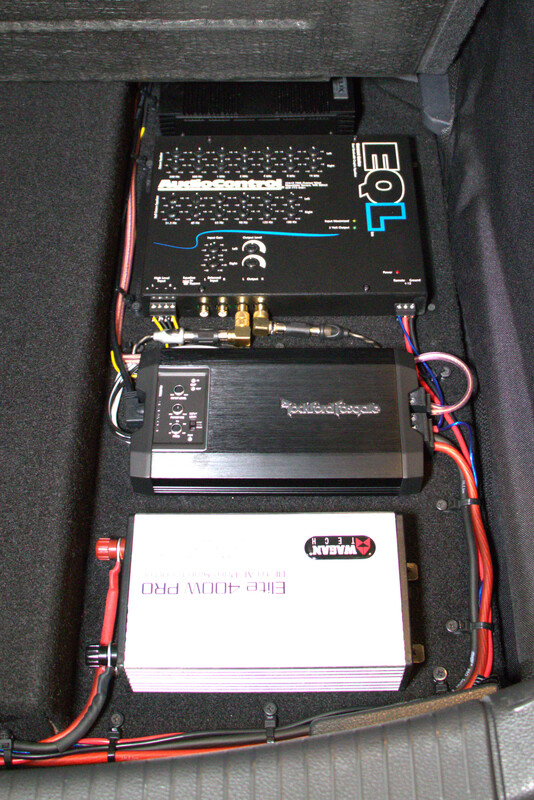 Wait… you may be wondering “Why change the subwoofer instead of the amplifier?” Remember, I was still using a 2-ohm load, which limits my 500-watt amp to 330 watts. I could install a more powerful amp that works at 2 ohms, but the Rockford Fosgate P3 subwoofer’s power rating is 300 watts. I needed a better subwoofer. 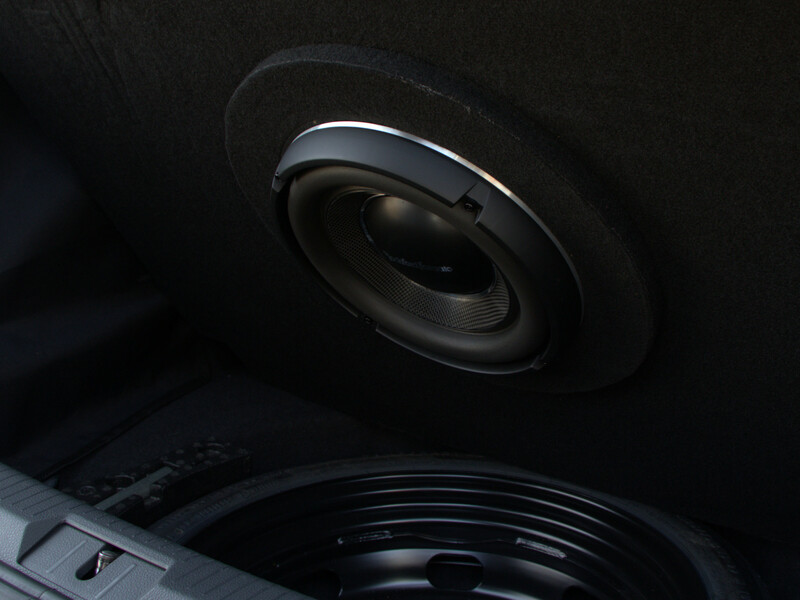 By simply replacing my P3 subwoofer with a 1-ohm Rockford Fosgate T1S1, I introduced an element that moves more air (greater excursion), handles more power, and (the initial goal) allows the amplifier to deliver its full 516-watt rating. Adding 50% more power doesn’t result in 50% more bass. No system is 100% efficient. But I think it’s safe to say I gained about 25% more bass. I can present “ludicrous bass” again. 🙂 It’s even more insane than expected. The extra air movement really shakes the car, my hair, my clothing, and even the air in my lungs. If want more, then the T1S1 can handle swapping the 500-watt amplifier for a 750-watt amp with the same footprint. I doubt I’d ever do that, but it’s fun to know that I can. HAHA! Of course, it’s easy to point out that a 2500-watt system with a pair of 15-inch subwoofers would put my setup to shame. But my primary point of pride in my system is that it sounds the way it does while remaining completely hidden beneath the cargo floor. I don’t need to remove a large box (and lose my bass) to pack for a road trip or transport a bicycle or other bulky items. 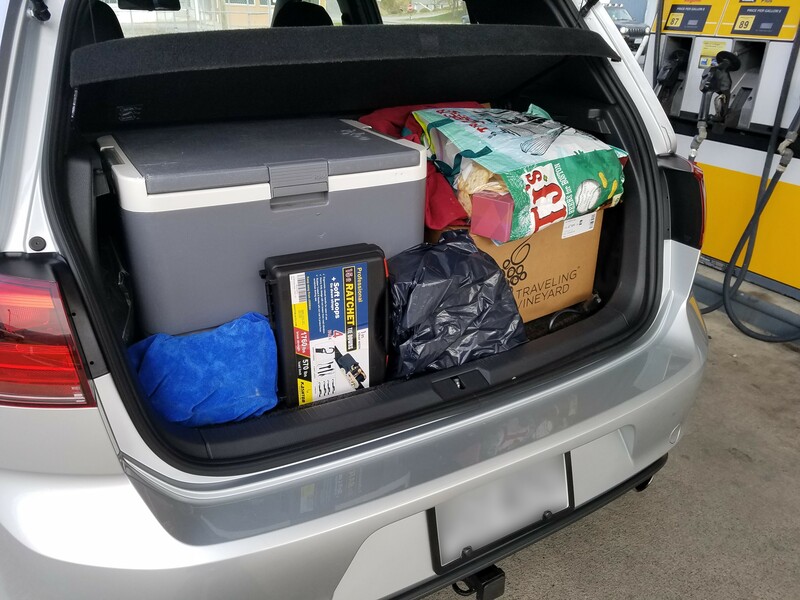 In fact, I transported an electric cooler, a case of wine, and other items during an 1800-mile family Thanksgiving trip. Yes, we had full use of the back seat. Oddly enough, loading the trunk somehow results in a dramatic increase of bass. We had to turn the PLC2 to minimum with a load in the car… PHYSICS! If I was to do it all over again, this is the system I would have built in the first place. I started with a budget and eventually grew the system to what I could (or couldn’t) afford later. Building it this way the first time would have cost much less in the long run. But the adventure has been an education. 😉 Read the full system description here. Also, feel free to check out a YouTube video I created about my system. I’m still a little dry and unnatural on camera, but the technical detail is still there if you can stand my dialog.